Your vacation time is precious, and we know that! 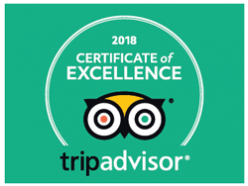 Why spend 10+ hours to dive the Cozumel reefs from Playa Del Carmen, when you can have the same fantastic dives in almost half that time..? Leaving you more time to relax after your dives! Most dive centers will have you meet them at the dive shop first, then take you to the ferry, wait in line to get on the ship, cross the channel, wait on track to get off the ferry. Do you get my drift? 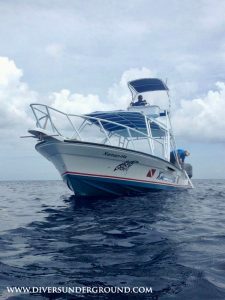 Dive Cozumel from Playa Del Carmen in a charter boat. 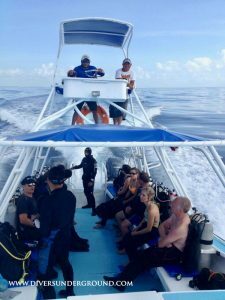 We leave directly from the beach, crossing straight to the dive sites, for two amazing dives on the second largest reef in the world. A few yummy snacks on the boat and return to Playa in time for whatever it is you want to do on your precious vacation! 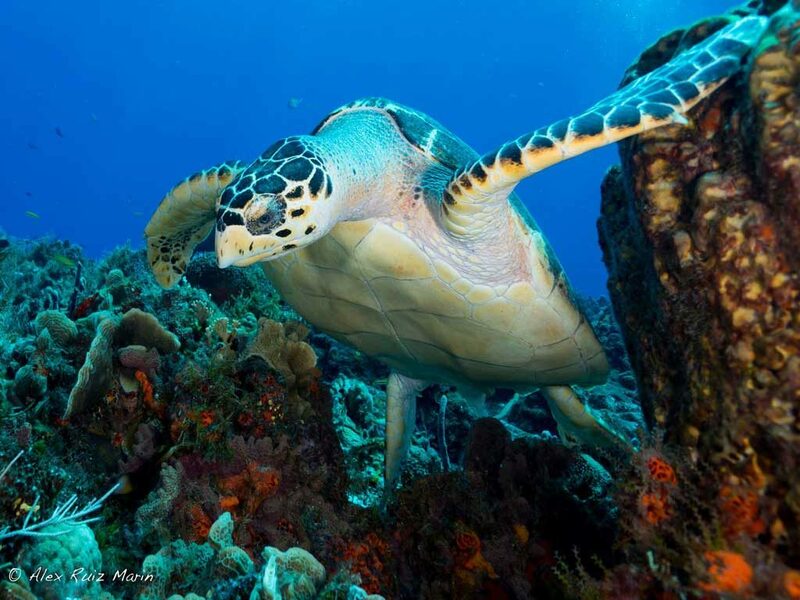 We meet at the beach at 8:30 am and take you to Cozumel’s best dive sites. 45 to 55 minutes boat ride powered by two reliable 200HP Yamaha outboard engines. About one hour after we leave the beach from Playa Del Carmen we are jumping in the water to go scuba diving. After the dive, we relax on the boat with a snack, some water and fruit as we troll to the next dive site during a good one hour the surface interval. As we surface, the crew helps us getting out of the water and we head back to Playa Del Carmen. You will be back in Playa Del Carmen around 2:00 pm so you can get on with your holidays. That’s the smart way to dive Cozumel from Playa Del Carmen!